These jack stands were donated by a friend who wanted me to transform them into something new. “Surprise me, make anything”, she said. They bring back fond memories of camping with her grandfather since they were used to set the camper on for every summer family camping trip. 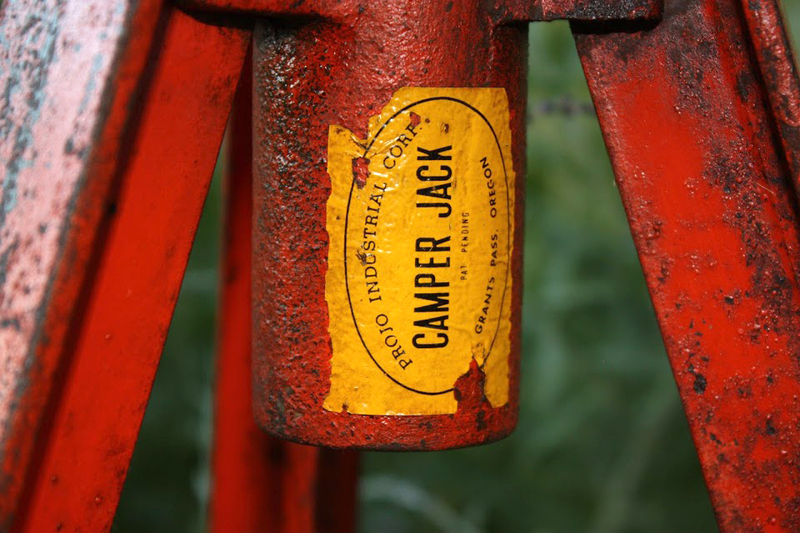 The vinatge label reads ‘Camper Jack: Grants Pass, Oregon’. 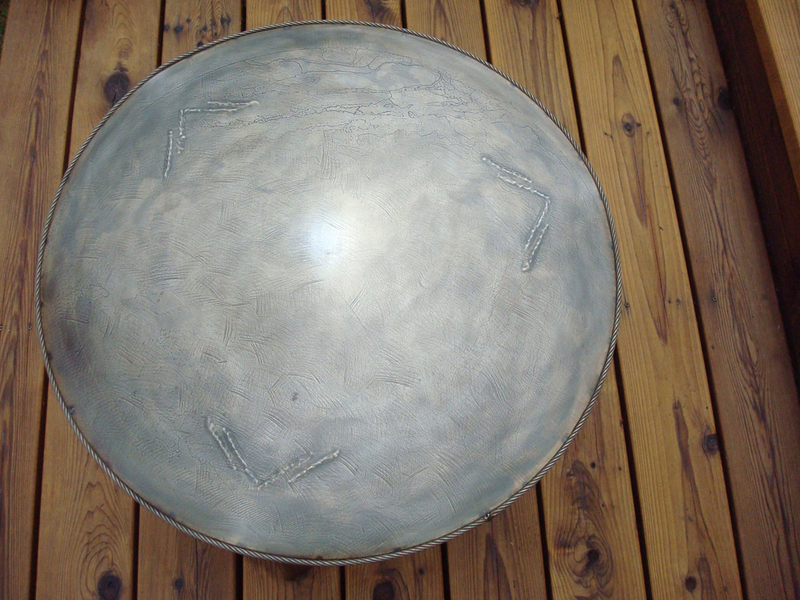 The steel top is trimmed with stainless cable. 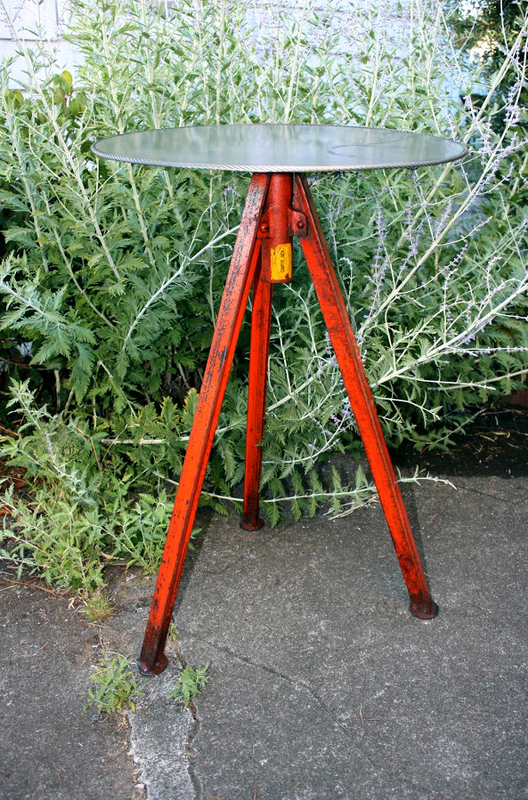 Categories: commission, new work | Tags: color, commission, industrial remnants, scrap steel, stainless steel | Permalink. 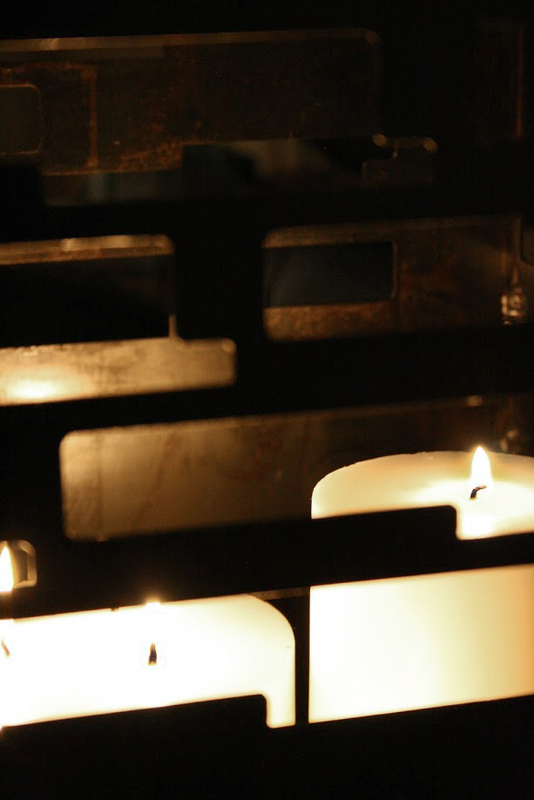 Whether you have a castle or a cottage, these lanterns will provide the atmosphere. They are made with scrap steel and are one-of-a-kind pieces. 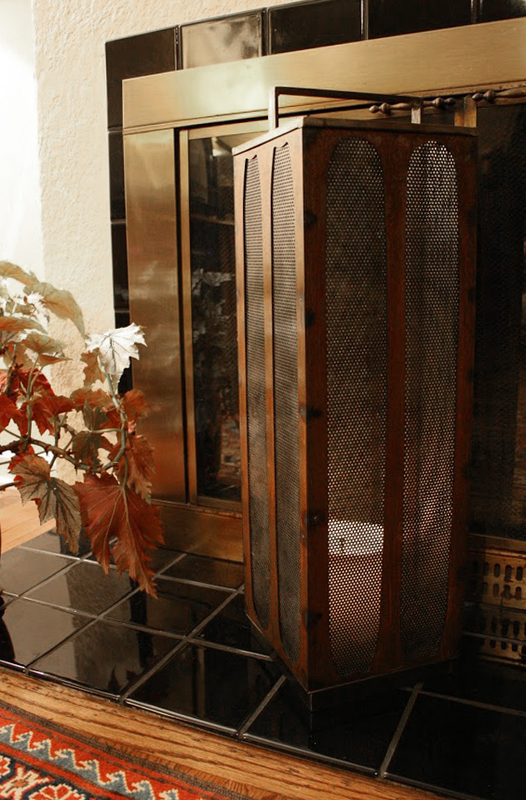 The tall shade slides up over the low profile handle to access the candle platform. Its perforated steel gives the light a hypnotizing pixel effect. The wide lantern loads from the top and comes with a recessed handle. 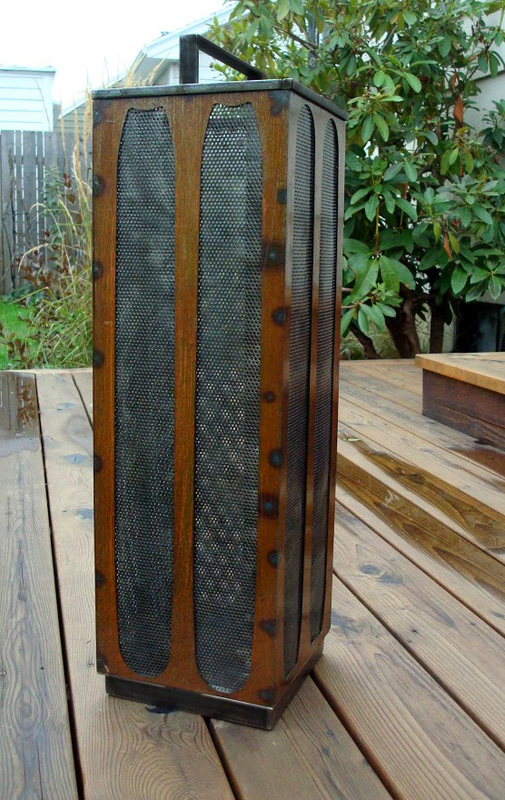 The exterior pattern on each was a 2D panel that I cut down and reassembled into a 3D cube. 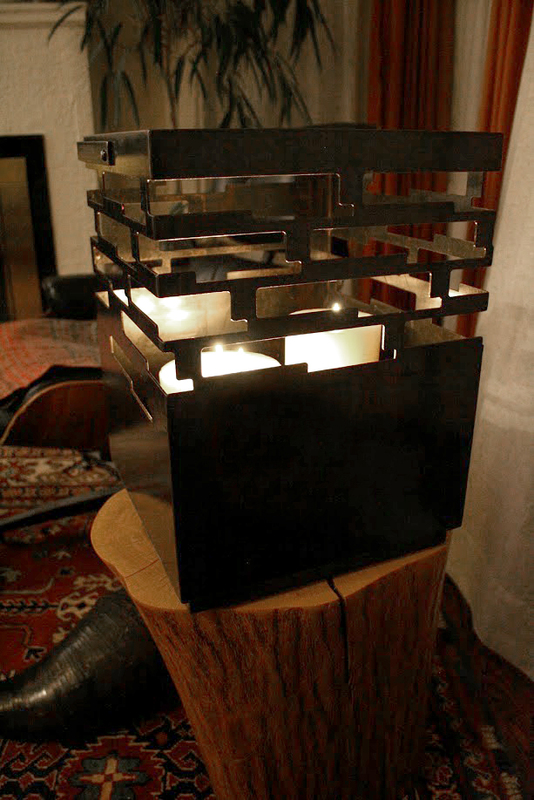 Categories: new work | Tags: industrial remnants, lantern, light, scrap steel | Permalink. ORBIT. This piece has many views. You can spin it around to find your favorite. There are five hoops that envelope a solid disc. The largest hoop of diamond plate overlaps underneath like a bow. The 1′ x 2′ base of 1/2″ rebar rod secures it into the ground. 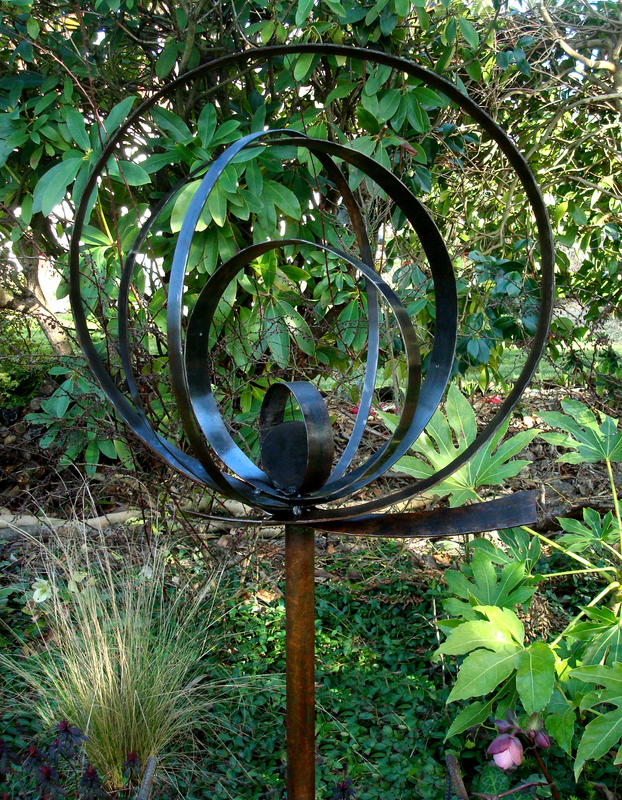 Categories: new work | Tags: garden orb, industrial remnants, kinetic, scrap steel, sculpture | Permalink. This is the Bubble Trellis. It’s a combination of a laser cut remnant at the top, solid discs of various diameter and hoops of 3/4″ and 1/2″ strap. The base is made of solid 1/2″ steel rod for stable placement in the soil. 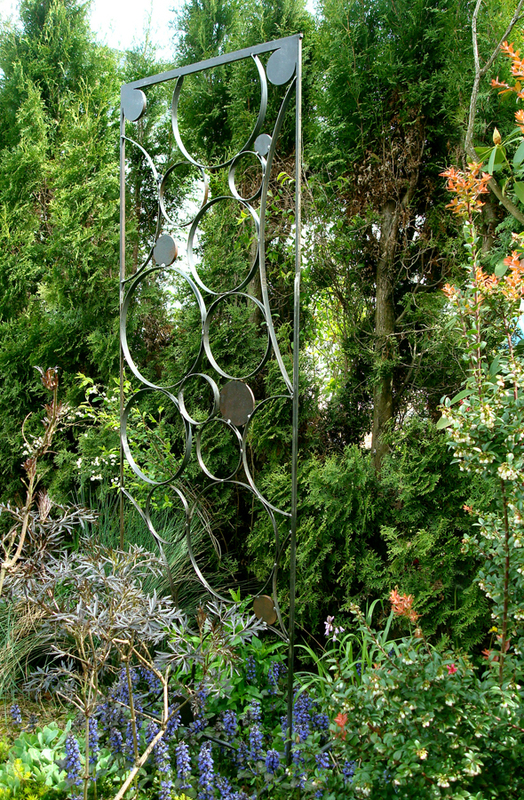 Categories: new work | Tags: garden orb, industrial remnants, orbs, scrap steel, screen, spheres, trellis, vine | Permalink. The Oak Leaf and Holly Berry Wreath. The leaves are slightly folded while the berries are concave. Each berry is hammered by hand. 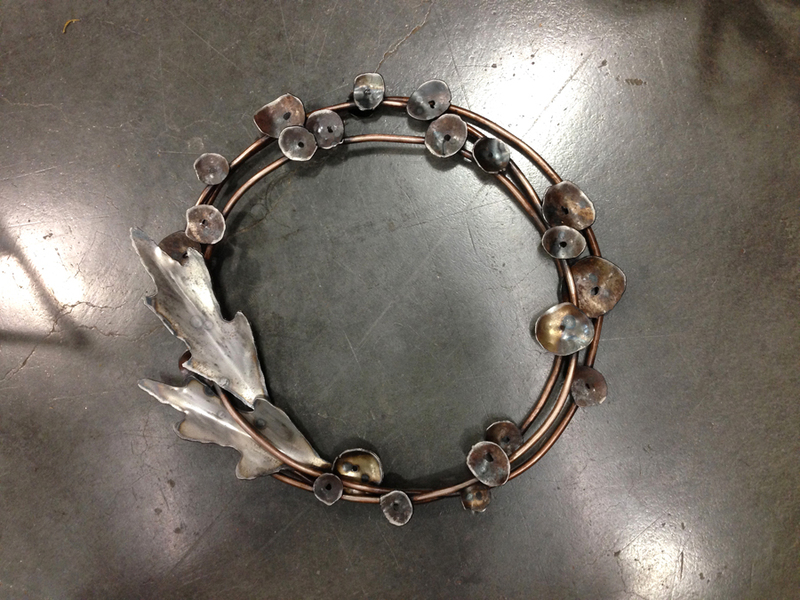 The materials in this new wreath are copper tubing and steel. Roughly 15″W. 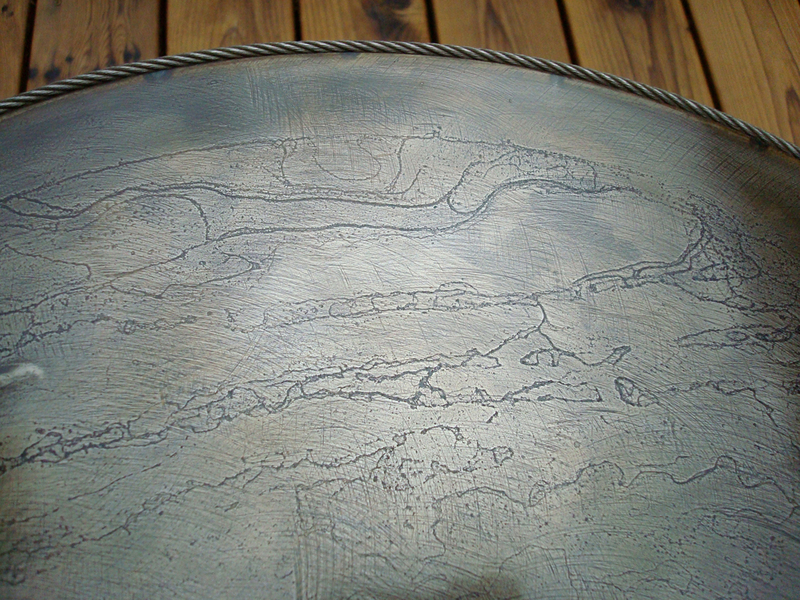 Categories: new work | Tags: copper, scrap steel | Permalink. The Organic Grid. 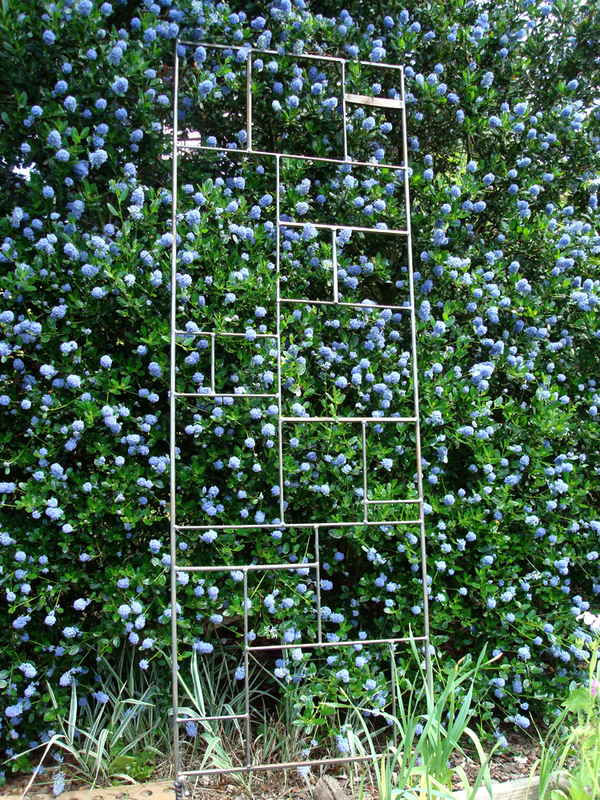 This trellis is a grid but has lots of movement and irregularity. 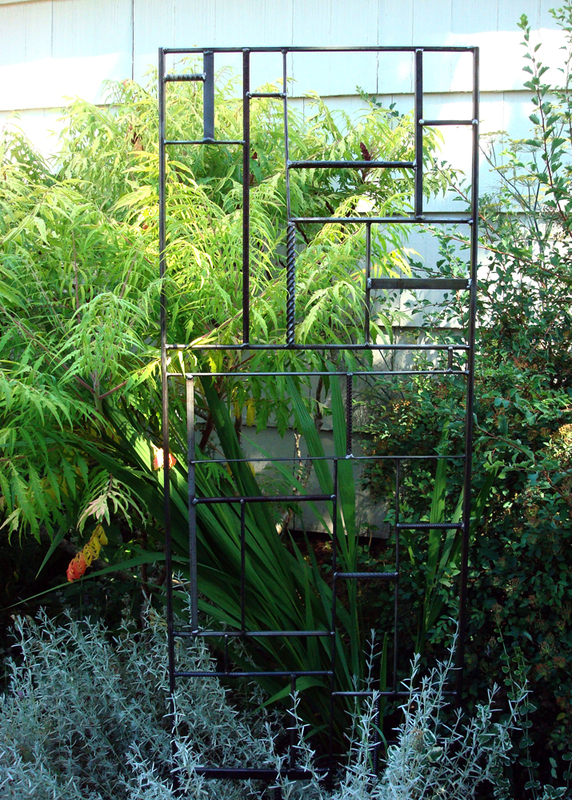 The top rods extend out beyond the trellis and each piece will a have one circular element on the corner. Roughly 6′ H x 2′ W.
This is Mondrian Lithe. The elegant frame is 3/8ths rod with a variety of rod, strap and rebar as the internal grid structure. 2″ W x 6′ H.
Mondrian Heft. 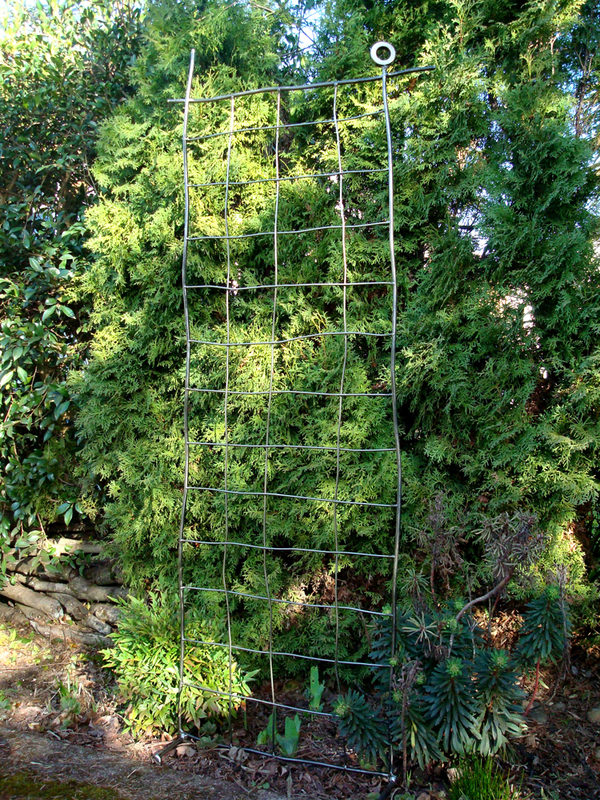 This trellis has a 1/2 ” steel rod frame with a variety of rod, strap, rebar and random bits up to 5/8ths as the grid structure. Pieces may vary in size. Roughly 6′ H x 2′ W.
Mondrian Scrappy. This trellis uses a grid structure that includes all the above yet adds sections of perforated and expanded steel, a laser drop or other industrial element. The end result is more of a screen or opaque quality. Sizes may vary due to found objects. 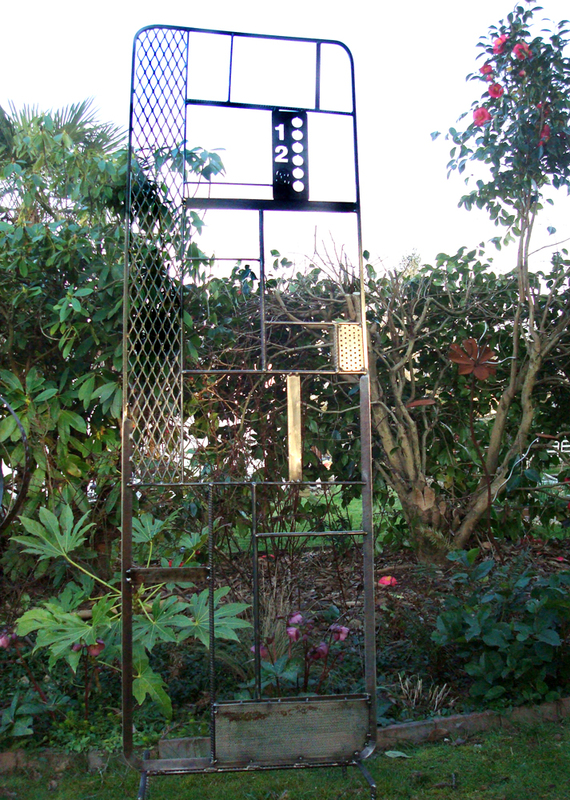 Roughly 6′ H x 2′ W.
Categories: new work | Tags: industrial remnants, mondrian, scrap steel, trellis, vine | Permalink. This low side table is perfect for the edge of your lounge chair at 17″ H. There’s a lot of added and inherent texture in the 24″W surface. It’s trimmed with a stainless steel cable. 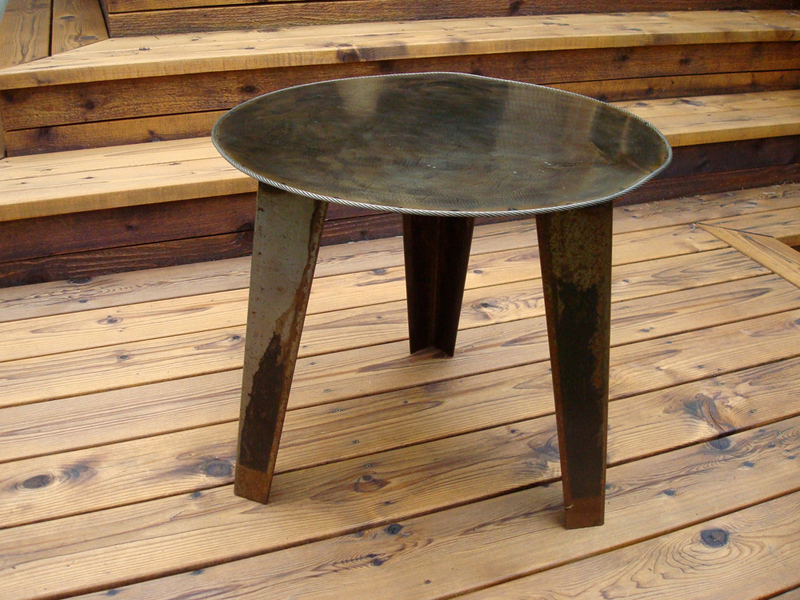 Categories: new work | Tags: furniture, industrial remnants, scrap steel, stainless steel, table, texture | Permalink.